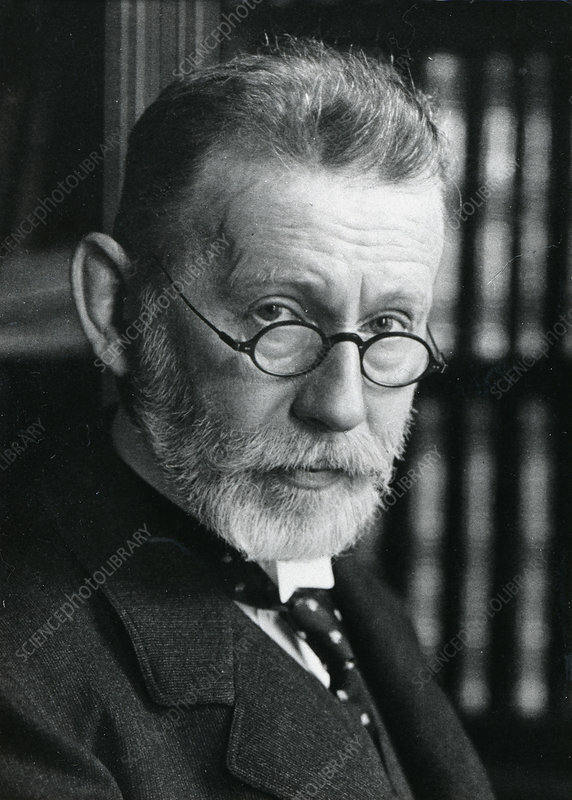 Paul Ehrlich (1854-1915) German bacteriologist. Specialist in the fields of Haematology, Chemotherapy and Immunology. Shared Nobel prize for medicine or physiology with Mechnikov in 1908. Photograph COURTESY OF THE NOBEL FOUNDATION.